Would you like to be involved in a new community-run enterprise in Bridport? Be part of a social business made up of a group of local organisations and individuals? Stir To Action have partnered with the United Church in Bridport – part of our Unlocking the the Next Economy project – to host two community open days from 10am - 3pm on 19 and 20 January 2018. Join us to create ideas and vision for a new event space and to find out how you can get involved! United Church on East Street in Bridport was redeveloped as part of a £400,000 project in 2014. It can hold at least 140 people in flexible seating, with capacity for another 150 people in the traditional pews in the upper gallery. The development has created a dynamic, multi-use space, capable of hosting workshops, conferences, live music, local development planning meetings, dance sessions, film screenings, and art exhibitions for the local community. What's Unlocking the Next Economy? 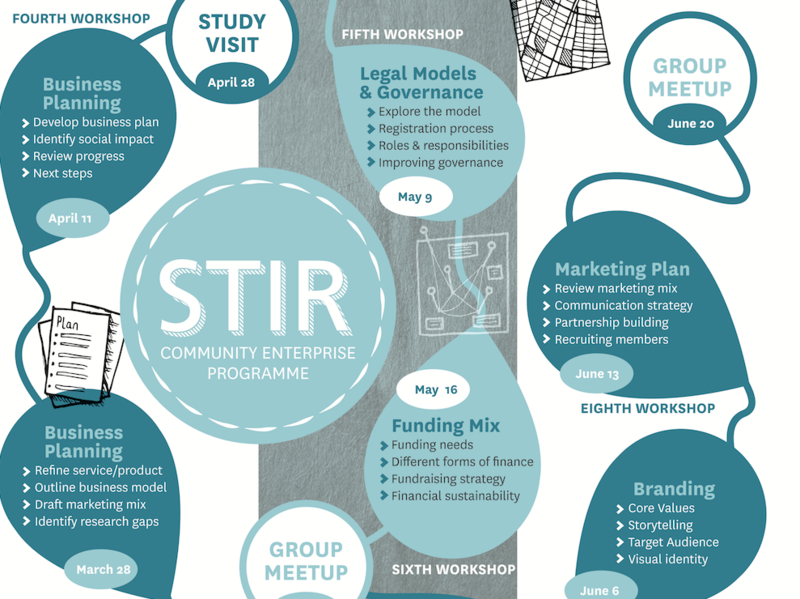 Stir To Action – a nonprofit organisation based in Bridport – have launched a year-long project to explore how church buildings can become an asset to local communities, and to support local communities to design, create and launch a new community-run enterprise within a local church building. Following the open days, we are hosting a free 16-week training programme – funded by the Friends Provident Foundation – from March to June 2018. The programme will support a local group to create a new enterprise, and will feature workshops on idea development, business planning, legal models and governance, fundraising, and marketing. Interested in applying? Here's our simple form. It's an enterprise controlled by local members and is for the benefit of the local community, not individuals or shareholders. It has many benefits for members, such as sharing public liability costs, equipment, marketing platforms, and the organisation of regular social gatherings to encourage collaboration and support. Take a look at Power to Change to find out more about community enterprise. 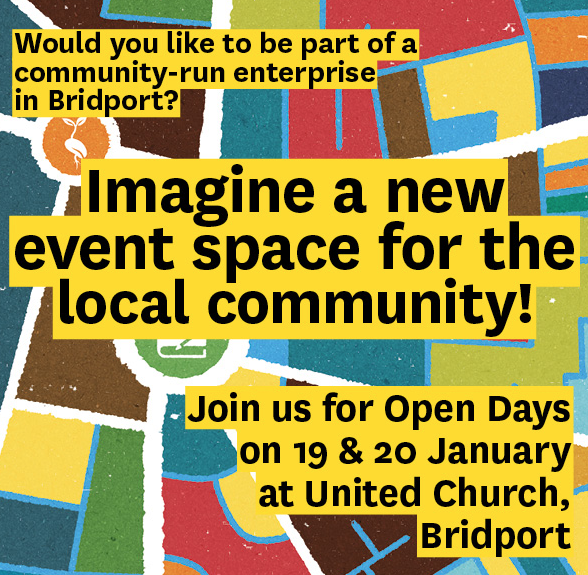 If you’re interested in community-run enterprises, creating new event spaces, and collaborating with people in the Bridport area, join us for the open days and find out more by emailing our team on events@stirtoaction.com. Check out our Facebook event page for updates.